The Happy Film is the designer’s first expedition into the realm of documentary film making, and as he puts it, one which seeks to explore, in a sense, how to ‘improve one’s surroundings and well-being’. “Why be interested in anything else?” he asks. Already established in his chosen field of graphic design, I query the reasons for tackling the subject of happiness in, what is for Sagmeister, a new and untested format. “It seemed more challenging to do this in film rather than print. Trying out a new medium prevents me from becoming too complacent,” he explains. 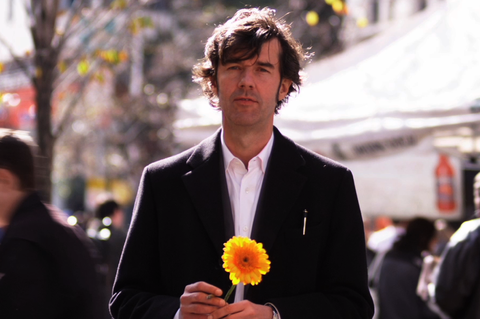 Currently ‘under construction’, The Happy Film sees Sagmeister teaming up as ‘co-director’ with filmmaker Hillman Curtis, and will have him acting as ‘guinea pig’ as he undertakes treatment traditionally used to combat depression and improve one’s state of mind; these include meditation, cognitive therapy and taking pharmaceuticals such as Prozac. With this in mind, I wonder has the designer ever suffered from depression in the past? “No… not in any serious way. I was rather down and a lethargic in the year after my Mum died, but have since recovered fine,” he asserts. The subject of happiness is a matter so multi–layered that there could be danger of a filmmaker getting lost in his own subject. In order to add structure to the process Sagmeister and his small team organized the storyboard around 3 prolonged self-experiments, and as Stefan explains, some have seemed to work better than others. Not to get too serious but keeping in line with my nature, I bring up the subject of God and religion, mentioning how Sigmund Freud believed human beings would never put down superstition until they get over their innate fear of death. Surely this could have a lot to with one’s own state of mind? “Well the idea of God giving comfort might be the reason why religious people come out happier than atheists in surveys. Other people think the community involvement that most religions provide affords this extra bump in well being,” he says. “I do think it is impossible to reach permanent happiness. Daniel Nettle thinks of happiness as a carrot on a stick, designed by evolution to show the right way, and also designed so that we never permanently find it. We likely would just sit around and eat sweet and fatty foods all day and that’s not in the interest of evolution. I do think it is helpful to distinguish three different levels of happiness according to time: There is short time happiness like bliss, joy and ecstasy, mid-term happiness like satisfaction and well-being and long term happiness like “finding what you are put on this earth for”. Getting back to what Stefan Sagmeister ‘was put on this earth for’, and with the fact that filming does seem to be going well, does he have any more film-based projects on the cards? “Oh no, the one is all we can possible handle in right now. Here and there we do a commercial, also in order to learn more about the medium,” he says. 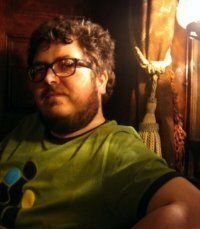 “I think the film will be done by fall 2013, and we’ll go through the regular festivals to look for distribution. Ideally, this would be a cinematic release, but I am aware how few documentaries do wind up in the cinema. But I still feel very much like a designer.